Tuition may add 20m per week to 20mins per day to these timings. The Document includes this information for Parents. “There are many ways a parent can support their child with homework without having to know the answers themselves. 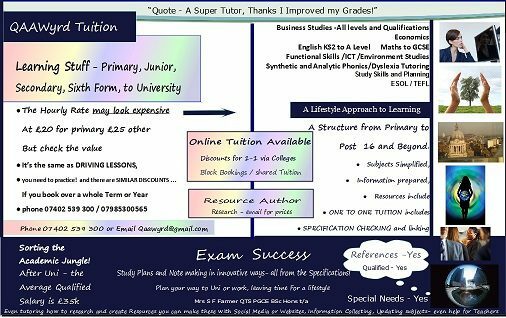 • Know how much homework your child should be doing at each stage of their education and make sure that they are doing this. • Be interested; ask your child what tasks they have been set. • Encourage your child to study independently by using the Internet and library resources, through school or the local library. • Ask your child what they find difficult at school and raise these issues at parent’s evening. • Check your child’s homework diary. • Encourage your child to improve on their homework; are there any ways they could make their work better? • Provide a quiet space for them to do their homework, where there is no television. 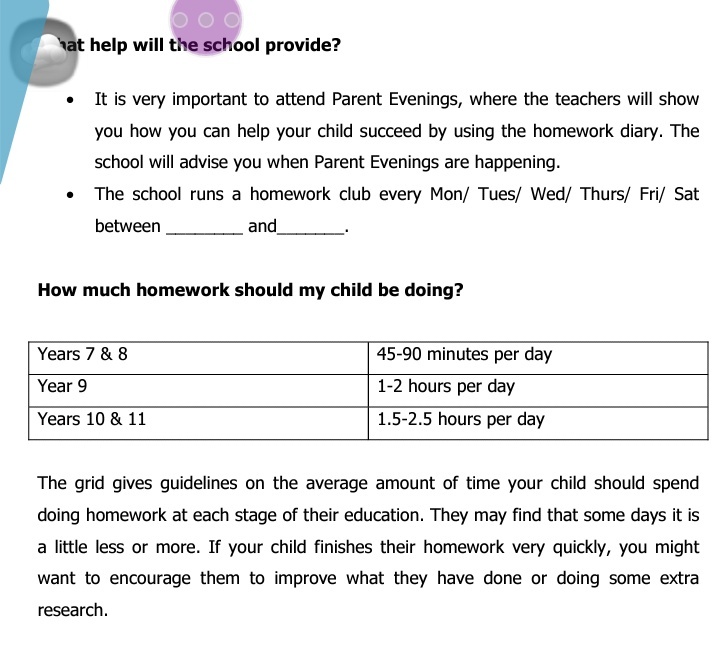 • Find out about homework clubs and encourage your child to attend especially if it is difficult for them to work at home. Homework clubs run in your local libraries and community centres. For further information about homework clubs in your area contact your local council. • If your child claims regularly, or for a large number of consecutive days during term time, that they have not been set any homework, check with the school as your child may not be recording their homework properly.